For all who love books… is there anything more pleasant the smell of freshly brewed coffee and pleasant music while turning the pages of a good book? Brenda Nevins is a successful romance author of the Yolanda’s Yummery books. 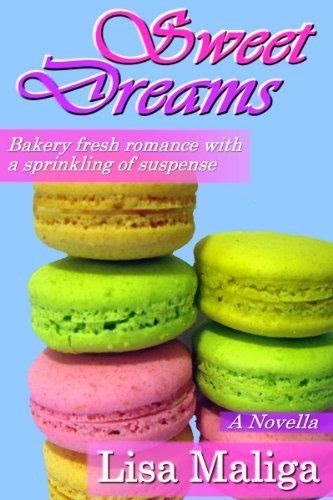 She doesn’t always been an author, she was a bakery employee and all goes wrong in her life. Per aspera ad astra (Through hardships to the stars) and she becomes successful, on the top of her carrier with her own agent Samantha Ho. Brenda supposed to sign a deal with Hollywood studio about movie and reality TV show about her forthcoming bakery, named after her bestselling book series Yolanda’s Yummery. Something goes wrong. Samantha doesn’t receive Brenda’s scripts but some science fiction story, not just Samantha but that phantom script was sent in Hollywood studio and in her own phone. Who is hijacking her career and her life? Brenda must try to reveal that before becomes too late. First thing that I think about Brenda was that she is a snob, but how I was turning the pages I change my mind and now I think that she is some sympathetic young woman. She is wears branded pieces and looks fashionable, beside she extraordinary bakes and she is very successful author. It’s interesting book which will make you to read it till the end. I'm a book lover,and mother, wife and Latin language teacher.I think that books are our friends.They can't cheat us or betray us.We just have pure enjoyment in them.I start Books are my life cause I want to share my passion about books , to chat and recommend great books with you. So please say what you think, comment and share your favorite books.